Emerald Garrison - Thank You! Both parents, children and Star Wars fans had an enjoyable time getting their photos taken with their favourite Star Wars Characters and having their ‘Hand in Hand’ tattoos. 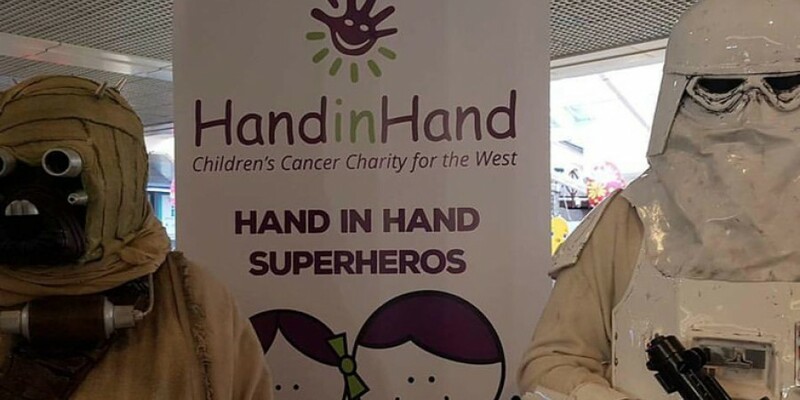 Today we received a wonderful letter from the ‘Hand in Hand’ Charity thanking the Emerald Garrison for helping them and to inform us that we helped raise a superb sum of €216.50 over the duration of the day. This is why everyone within the Emerald Garrison takes part and enjoys every minute we’re in costume!